Friary Guildford Band has re-branded as Friary Brass Band. The change follows an enforced move of rehearsal venue due to the redevelopment of the Band’s previous home at Chobham Club, near Woking. Friary is now based a few miles away at All Saints Church, Woodham. 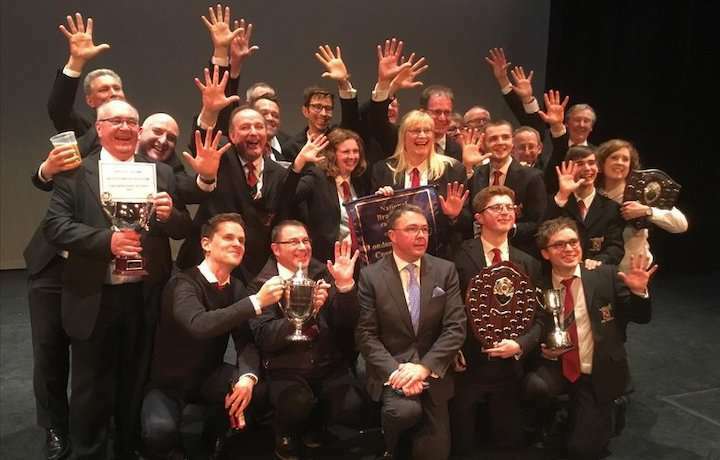 Band Chairman Nigel Stevens explained: “It’s now over ten years since the Band was last based in Guildford, and this latest change of base prompted us to review our name and brand. We retain our heritage via the Friary name – derived from the former Friary Meux brewery in Guildford which sponsored the Band for its first ten years – but decided that the continued inclusion of ‘Guildford’ gave a misleading impression. We nevertheless hope to retain our longstanding links with the Borough.